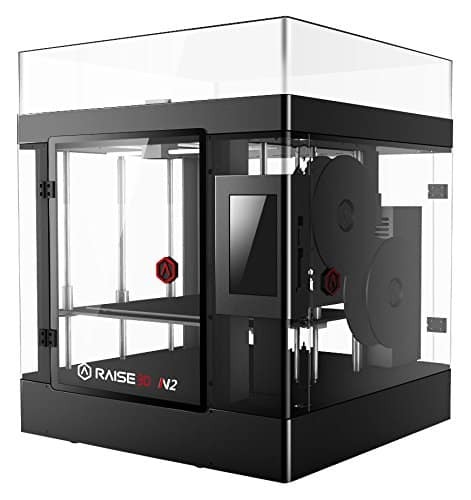 Raise3D N2 Review 2019 - Is This 3D Printer Worth The Money Now? Behold the Raise3D N2, a behemoth of consumer 3D printing with one of the largest build areas around. Does it sizes equate to quality? 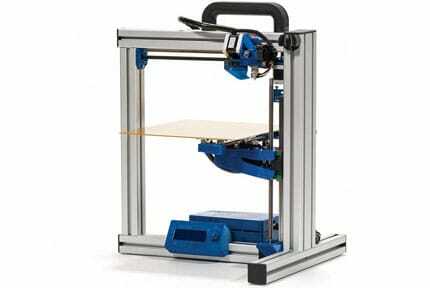 Let’s find out as we review the Raise3D N2 3D printer. 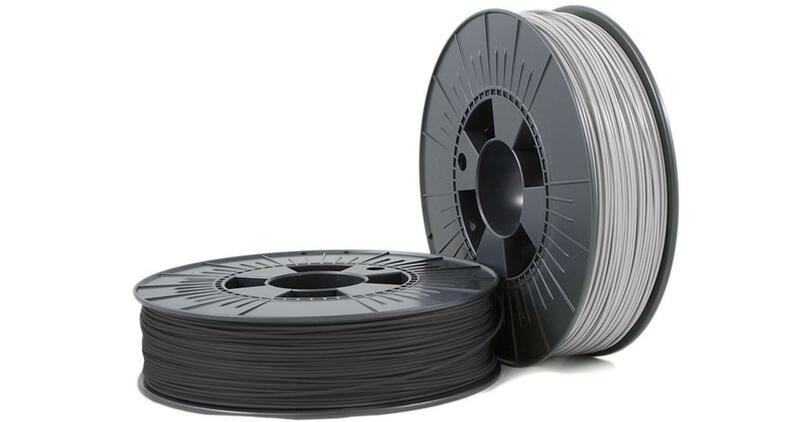 Supported Filament PLA, ABS, PC, PETG, HIPS, Nylon, Carbon Fiber, flex like TPU/TPE, wood-filled PLA, metal composites, etc. Off the bat, the defining feature of the Raise3D N2 is its size. This 3D printer is nothing short of massive. The build area alone is a mouthwatering 305 x 305 x 305 mm, placing it firmly among the highest capacity consumer printers available on the market today. Raise3DD even ships a big brother Pro model with a vertiginous 610 mm on the vertical axis if the factory standard isn’t sufficient. With such an enormous surface to play with (a whole cubic foot), the Raise3D N2 can handle large, ambitious prints, multiple component prints, down to smaller project alike. 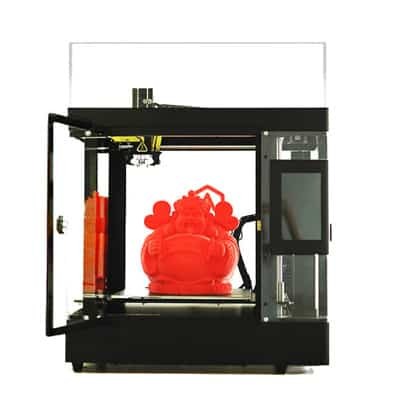 Visually, the Raise3D N2 is a fully enclosed printer with a part acrylic, part ABS, part sheet metal, part polycarbonate casing supported by a robust aluminum frame. The sheer weight of the printer – a whopping 49 KG – and the sturdy construction means it’s firm on its feet. Although large, the printer retains a refined aesthetic with sleek black edges, internal LED lighting to illuminate prints, and overall pleasing design. The Raise3D N2 looks the part and in many ways is a precursor to what we can expect visually from printers moving into the future. The predominantly acrylic see-through sides and removable top are a perfect way to monitor a print job in all its glory while warding off environmental obstacles such as shifting ambient temperatures and curious hands. It’s too large to be a feature in a home office, but wouldn’t be out of place in a modern, design-conscious tech lab. The printer has doors on the front and side to access the build plate to load/unload two filament spools. The casing isn’t just for protective purposes; a high-quality HEPA filter is fitted to absorb printing particle residue and to generally keep those noxious fumes caused by using plastics like PLA down to a minimum. That’s not all though; you can attach a USB webcam and remotely monitor prints, particularly suited for long print jobs that come hand in hand with using such a large print surface. The Raise3D N2 adopts the Cartesian design with a single direct drive extruder (although Raise3D does manufacturer the 3D N2 Dual for those that require a dual extruder setup) and Fused Deposition Modelling technology. The bed is heated, which is nothing short of what you’d expect from the $3000 price range and supports a glass build plate with a BuildTak cover. It can reach temperatures nearing 110 degrees centigrade. The extruder has a standard V2 hot end that can reach temperatures between 170 and 300 degrees centigrade and the nozzle has a typical diameter of 0.4 mm. Dual high-quality ball screws bolster the Z-axis for buttery smooth movement, which minimizes unwanted sway and straying. The Raise3D N2 sports a 1.75mm diameter open filament system supporting PLA, ABS, PC, PETG, HIPS, Nylon, Carbon Fiber, flex like TPU/TPE, wood-filled PLA, metal composites, powder-filled material and pretty much anything else you can throw at it. 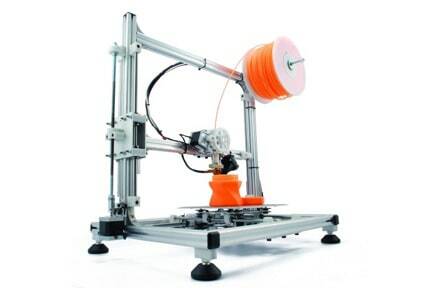 This thing is versatile and accepts spools up to 1KG in weight via two spool holders. The 7-inch tablet-like touch screen control panel is close to as good as it gets for 3D printers thanks to an Android-esque OS running things behind the scenes. The controls are responsive, fairly user-friendly and easy to navigate and laden with a plethora of tinkering options from visual print progress to fine-tuning by way of monitoring the heat of the nozzle or bed. A library displays .gcode files as 3D models when loaded from slicing software so you can be sure you’re triggering the right project. Where the touch screen shines is the print resume feature that pauses a print is inadvertently interrupted due to a mistake or loss of power. Once the machine is powered back up, the print resumes from where it left off without any loss of data or printing errors. It must, however, be said that as the tablet has its own OS, it does need to boot up which may irk some users accustomed to easily accessible single color control panels. The Raise3D N2 covers connectivity on all fronts from Wi-Fi, USB to PC, an ethernet port, USB flash drive, and SD card as well as internal storage of 1GB that memorize .gcode files, which means you can avoid having to go back and forth between the slicing software and the printer. 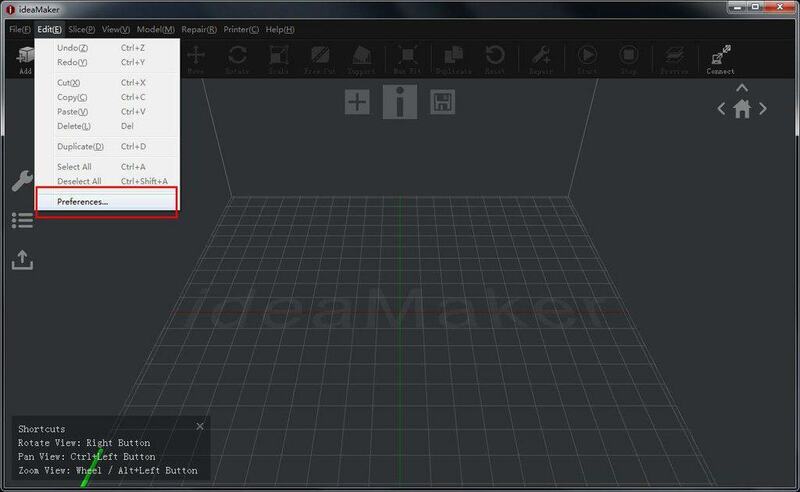 The printer ships with Raise3D’s proprietary slicing software ideaMaker that supports file types STL, OBJ, and 3MF converted to .gcode for printing. It runs on Windows, iOS, and Linux. Visually it is identical to what appears on the touch screen for consistency between machine and software few models can rival. The .gcode system means you can also use other third-party slicing software like Cura if you prefer. 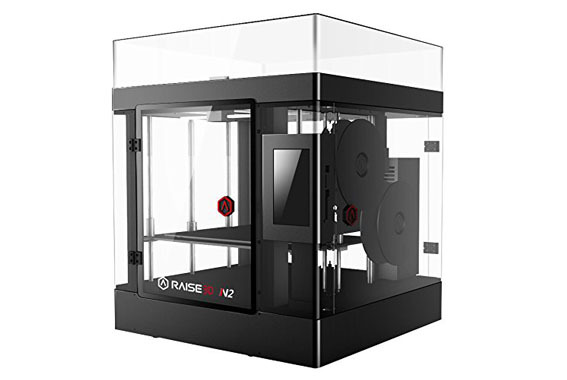 The Raise3D N2 is a pre-assembled printer and shipped as such. The package includes the printer, quick start guide, build plate, two spools of filament, a set of tools including Hex Wrenches and a scraper, USB flash drive, and a few spare parts like fuses. The package is unsurprisingly massive and ships with an encapsulating styrofoam frame that covers the whole outer surface of the printer. There’s no way the printer can damage in transit, and we appreciate Raise3D’s attention to detail. The same applies to the modular styrofoam blocks as well as the clearly labeled zip ties and plastic spacers holding the components in place during transit. You’ll need at least two people to move the printer if only to remove it from the bottom segment of styrofoam. Fortunately, it has casters on the bottom to facilitate carting it to a different room if needed. The printer doesn’t need much installing other than unscrewing the z-axis using the provided Hex Wrench (also clearly labeled), setting down the build plate and securing with the supplied standard issue office paper clips. The paper clips against all expectations work reasonably well but seem an odd cost-saving exercise given the overall price of the printer and the rest of the components being of such a high standard. The printer comes pre-leveled, which is a godsend as the maze of thirteen screws on the build plate are a headache. The reality isn’t as clear cut as the printer does need some honing assisted by the onboard OS. The instructions are clear and concise enough, but the adjustment screw for the z-axis is finicky, and it took us a few goes to get it right, which for a printer touted as factory leveled was disappointing. We also found that the bed wasn’t perfectly leveled requiring us to toil away with the thirteen screws in a frustrating back and forth of trial and error. An auto-leveling feature wouldn’t have gone amiss. Overall, the print quality is phenomenal for the overwhelming majority of print jobs. Detail is clear and apparent, lines are smooth, edges error-free, and pretty much near perfect for materials like PLA and Flex materials. Many printers priced similarly offer more or less equivalent quality, but the sheer size of the build area means we could let our imagination run wild with print props and models we couldn’t consider doing elsewhere. One downside to the massive build area in conjunction with the rather small 0.4 mm nozzle is that prints take a long time. An upgrade to a 0.6 mm nozzle or even bigger wouldn’t be a bad investment and should speed up printing considerably. Unfortunately, the extruder fans aren’t controllable through software, and when using materials that don’t need too much cooling then the only option is to slot in a washer type tool over the fan to limit air circulation. The solution feels at odds with the overall design of the printer and an afterthought. When you’re looking at 50 hours or more print times, you’ll want the printer to be relatively quiet, and the Raise3D N2 lives up to this. The size of the device should be indicative of quite a cacophony, but in reality, we were incredibly impressed by how little noise emanated from this beast. The enclosure does wonders to limit noise, even when it chirps up at higher speeds. We wouldn’t recommend running it overnight in your bedroom, but in an adjacent room is more than acceptable. 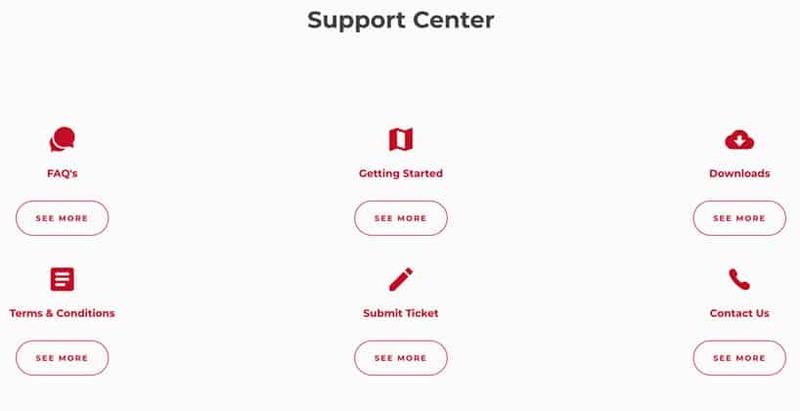 Regardless of how you contact Raise3D, they are incredibly responsive to users with taking feedback, offering advice, and troubleshooting problems. Knowledge of their machines and 3D printing is of the highest caliber. Their website is full of support articles, forums, guides, and downloads. We really can’t fault Raise3D in this respect. The warranty is a pretty standard 1-year limited deal that covers defects in material and workmanship. Although the hot end, heating rod, thermal sensors, heat bed, and circuit boards only have a 90-day warranty. Overall, the Raise3D N2 is a beautifully engineered printer with only a few minor negatives that can be overlooked due to the sheer quality of the prints. The bed leveling problem is tedious but can be overcome with a little elbow grease, while the lower quality components such as the paper clips are more confusing than an inconvenience. 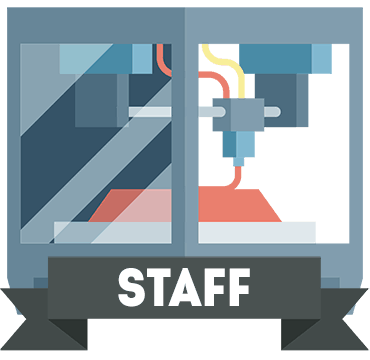 We see it as an ideal option for model, cosplay, or prop makers who need a reliable printer for larger prints. The Raise 3D N2 warrants the price tag, but we would recommend the more recent Raise3D Pro2, which irons out many of the issues plaguing the N2. The Raise3D N2 is a great large capacity print with excellent quality weighed down by a few unfortunate negatives that could have been fixed during the design and manufacturing process.